HCS New Zealand Limited (HCS NZ LTD), the registered company - trading as PC Heroes. This applies to the Hardware and Services, as outlined below. 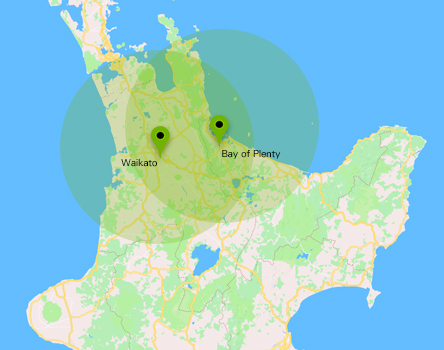 30 to 90 Day RTB Warranty applies to Services and Refurbished Hardware supplied by HCS NZ LTD. Warranties will be advised on quotation. Due to copyright laws – we can provide no warranty or returns on any software supplied. This warranty does not include – any software issues created and/or caused by the “end-user” such as viruses, spyware, tampering with settings and or other non-related hardware failures. Also any additional components needed, added OR installed to the system by the “end-user” are not covered under this warranty. There are no warranties for computer repairs involving personal software issues, viruses, spyware, malware or related issues. We provide the best protection against threats at the time of servicing. This ‘best protection’ may change without notice. There is no 100% protection against Viruses, Spyware, Malware and other related infections. Due to privacy laws we cannot monitor your surfing habits (which cause 99% of repairs relating to Viruses, Spyware, Malware and related infections) and therefore exclude these repairs from warranty. This warranty does not include any consequential damages (including data loss) that may have resulted from any malfunction of the computer system, nor does it cover any hardware or software installed by the “end-user”. HCS NZ Ltd takes NO RESPONSIBILITY for any use of supplied hardware, software or services for any illegal purposes - such as copyright infringement. We are insured for work performed at HCS NZ Ltd for mistakes, negligence or intentional damage to customer hardware by employees of HCS NZ Ltd. However damaged items can contain weakened or broken connections due to corrosion, impact or other damaging forces. PC Heroes has experienced technicians who take great care with customer hardware - however our warranty and insurance does not cover consequential damage that results from the disassembly and reassembly of hardware where the cause is not directly related to mistakes, negligence or intentional damage by staff of HCS NZ Ltd.
HCS NZ Ltd reserves the right to dispose of uncollected hardware - whether repaired or not - after a period of not less than 3 months without contact from the owner of such hardware. HCS NZ Ltd will make reasonable effort to contact the owner prior to its disposal. Hardware not collected - but where the owner intends to collect - are liable for storage fees of $1 per day after not less than 3 months of non collection. This applies to all Code and Creative works by HCS NZ LTD.
12 Month FFS (Fit for Service) Warranty applies to all new Creative and Code Works supplied by HCS NZ LTD. This guarantees that Code and Creative works will be fit for the intended purpose, and operate without bugs or restriction, as per and within the scope of the original specifications at the time the work was quoted and accepted by the customer. This warranty does not cover any consequential damages (including data loss) that may have resulted from any malfunction or in-operation of the works. This warranty does not cover any extension work which may change or otherwise add to the original specification or scope of the work at the time of quoting. JURISDICTION OF TERMS: All services, policies and terms are to be governed by and construed in accordance with the laws of New Zealand and any claim made by either party against the other which in any way arises out of these terms and conditions will be heard in New Zealand and you agree to submit to the Jurisdiction of those Courts.